Make a tax-deductible financial donation in honor of someone special. We will ask for additional information about the honoree so we can send them a commemorative letter letting them know that a donation has been made in their name. 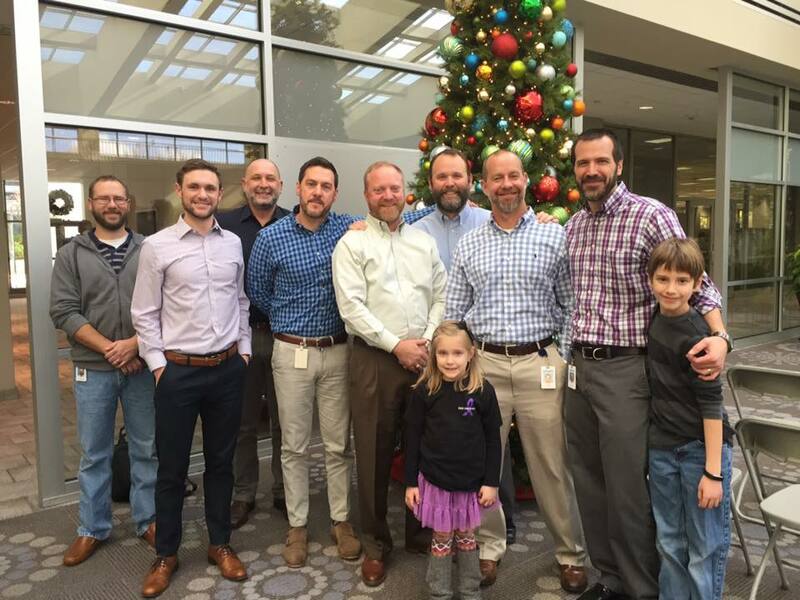 To date, we have had donations made in honor of a child with CRMO and a few doctors that like to give to charities that support children suffering from disease. Purchase a CRMO Shirt or Hoodie, CRMO Warrior Socks, CRMO Warrior Headbands, Bracelet, Ornament, Tumbler, Pura Vida CRMO Awareness Bracelet or Car Magnet from the CRMO Awareness Products page – 100% of the funds go towards care packages. Add Kaila's Komfort as your charity to receive .05% back on purchases made through Amazon Smile. Purchase an item off of our Amazon Wish List. Items on this list are things that are routinely sent in care packages. They will be shipped directly to us and will be included in a future care package. 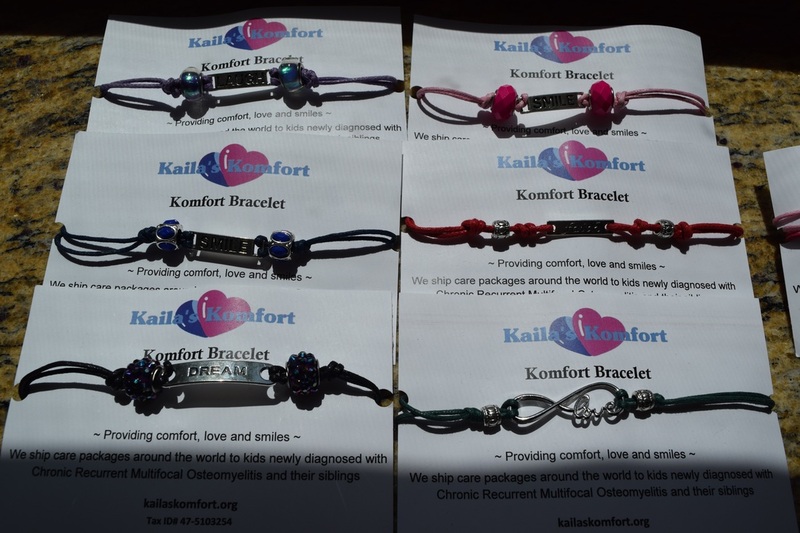 Host a fundraiser for Kaila's Komfort. We have multiple child-friendly fundraisers - see below - or contact us for details. If you have ideas of ways you would like to fundraise, please let us know. ​Corporate sponsorship opportunities. Please contact us for more information. Please consider making a donation so that we can continue to bring comfort to those recently diagnosed with CRMO. We have been so blessed to have families who have received care packages ask how they can help raise funds so that others can experience the joy they received. All fundraisers are designed to also be awareness campaigns. 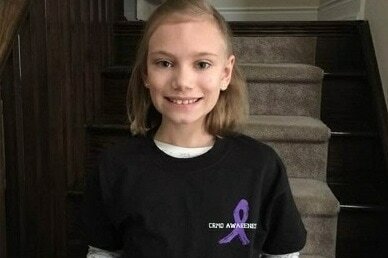 If you have CRMO or are hosting a fundraising drive in honor of someone with CRMO, take this opportunity to share this person's story and raise awareness of CRMO. Do you know how much a 16 ounce water bottle can fundraise? Approximately $100 in dimes!! This is a great way for schools, clubs or any others to to get involved. Hosting a Koins for Komfort Drive is easy. Simply decorate empty 16 ounce water bottles (or any size bottle), and collect loose change - mixed coins or specify dimes only, quaters only, etc. Take your coins to the bank after your fundraiser ends, and make an online donation or send a check to Kaila’s Komfort. Some banks will take your loose change and weigh it; others will require that your coins are rolled. Please check with your specific bank for the rules on accepting loose change. Each care package costs @$50, so one 16 ounce bottle of dimes could send two newly diagnosed children with CRMO a care package! 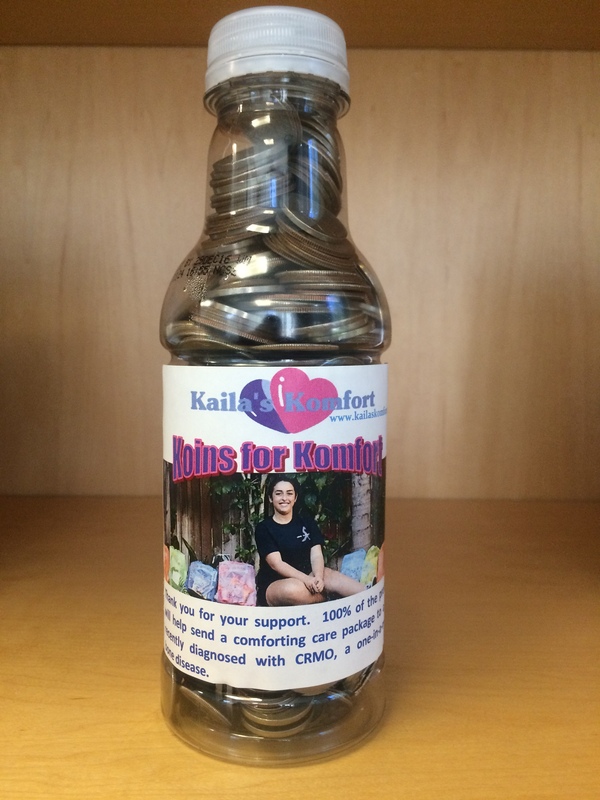 Personalized Koins for Komfort Water Bottle Labels - if you have previously received a care package and have a photo of you with your package, we can customize the labels with your picture. We can either email the format for you to print yourself, or we can mail you the labels, which are ready to be affixed to the water bottles. If needed, we can mail you coin rolls sleeves to roll your change in after your fundraiser. If you are doing this as a competition, i.e., which class raises the most funds, etc., we would be happy to provide a prize for the winning group (popsicles, cookies, etc.). Another great way for clubs or groups of people wanting to make a financial donation to get involved. Who doesn’t love a bake sale? Big or small, a bake sale is successful at just about any event or activity. Click here for tips on hosting a bake sale, or contacts us - we would be happy to help you plan for your bake sale. Great for any group – Girl Scouts, Church Group, Youth Group. We supply the hemp cording, a variety of uplifiting message charms, and instructions. Groups can either make one for themselves, or make one for themselves and another for someone that needs uplifting! 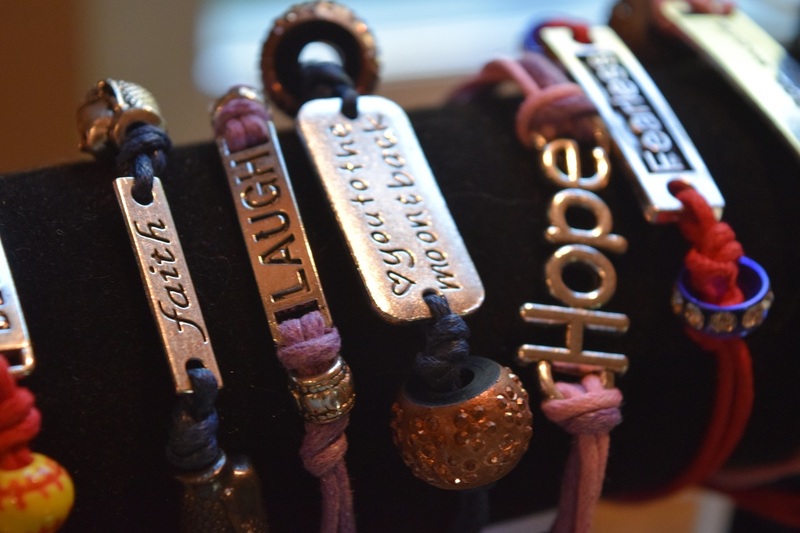 Bring joy to someone else with a beautiful handmade bracelet. Presentation card to tie the “gifted” bracelets to is included. We also have pre-made bracelets for purchase. We can also make any custom bracelets - contact us and let us know what colors and charms you would like included in your Komfort Bracelet. Choose "brothers" or "sisters" or both, and host a drive to collect a list of specific things to include in Sibling Superstar Mini Care Packages. What would your sister or brother like to receive to let them know they are special? You come up with the list of items you'd like to collect, and get a group involved in making donations. Examples of things to collect: $10 iTunes, Google Play, Kindle, xBox, Starbucks gift cards; craft projects; journals and fun pens; Beanie Babies; Legos . . . be creative. Send your donations to us, and we will make sure they are sent to well-deserving siblings of children with CRMO. ​For more information on this program, please see the Sibling Superstar Information on the Care Packages and Programs tab. One family had a "Welcome Summer" party and fundraiser. Thank you to MMJ Labs, maker of the Buzzy, for providing a discounted price on Buzzies (with donated funds) to be included in Kaila's Komfort care packages. Buzzy® is a palm-sized device combining cold and vibration that when placed between the brain and the pain decreases sharp pains. Learn more!